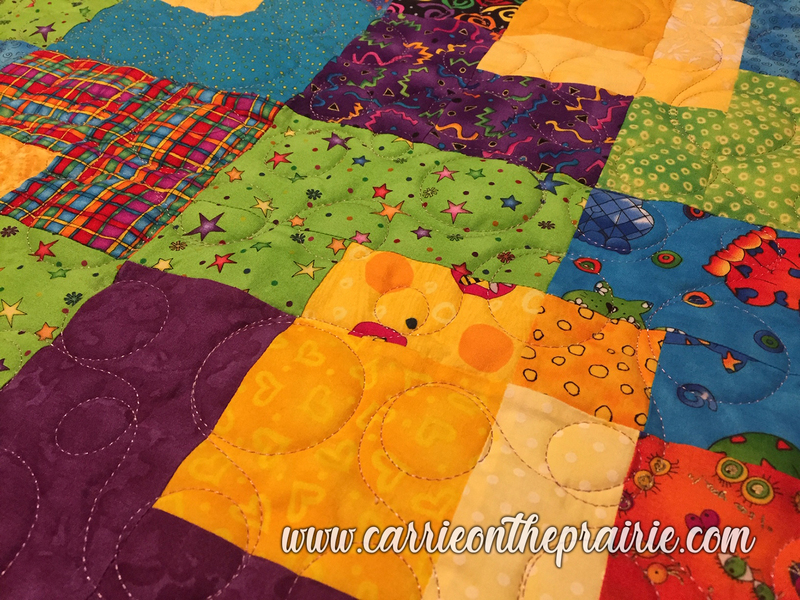 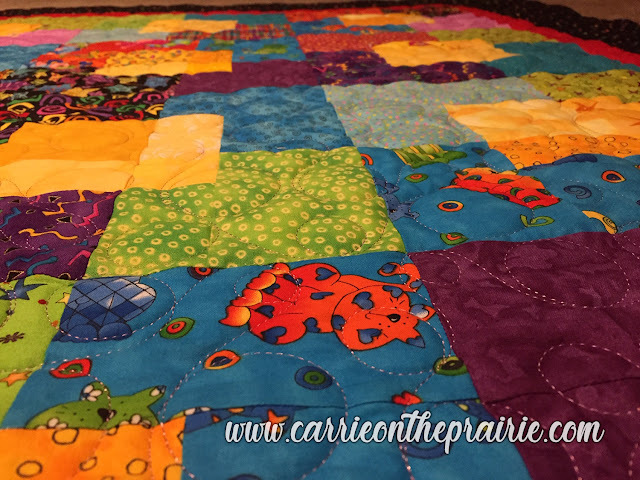 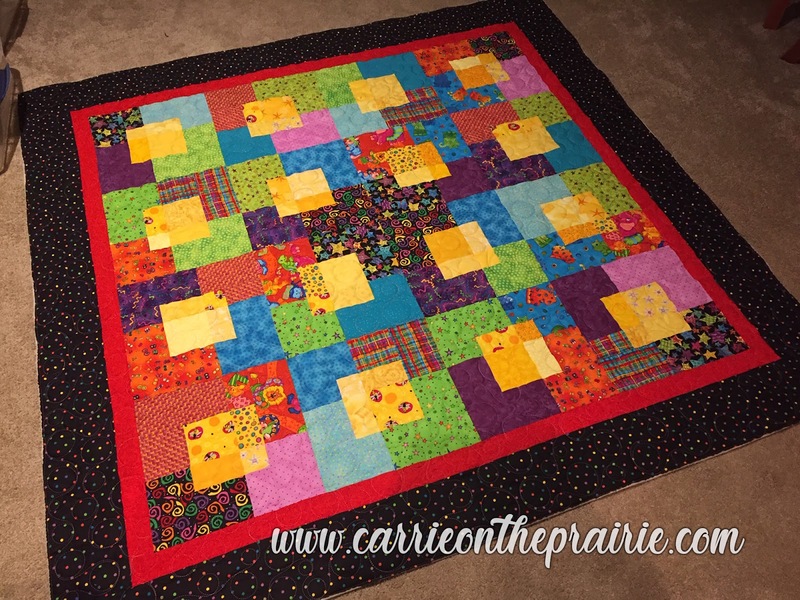 This adorable baby quilt is so cheerful and happy! 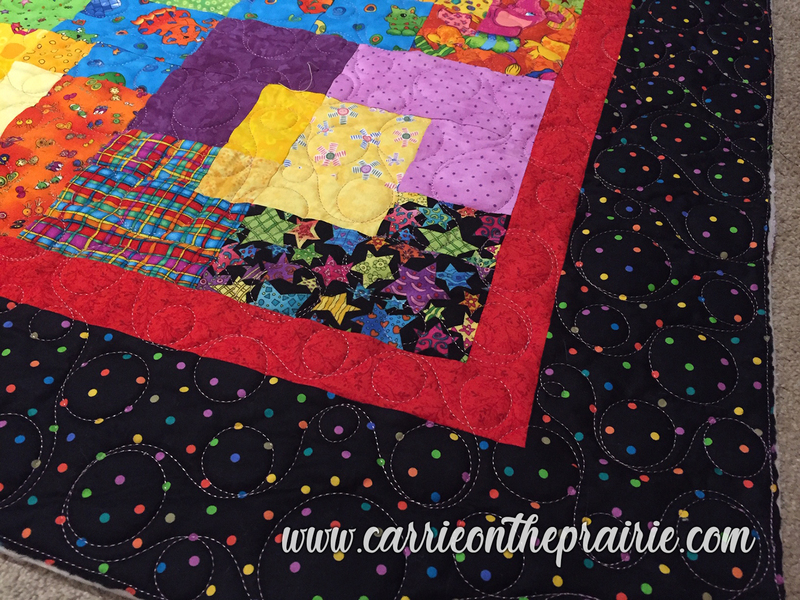 I quilted bouncing balls all over it. 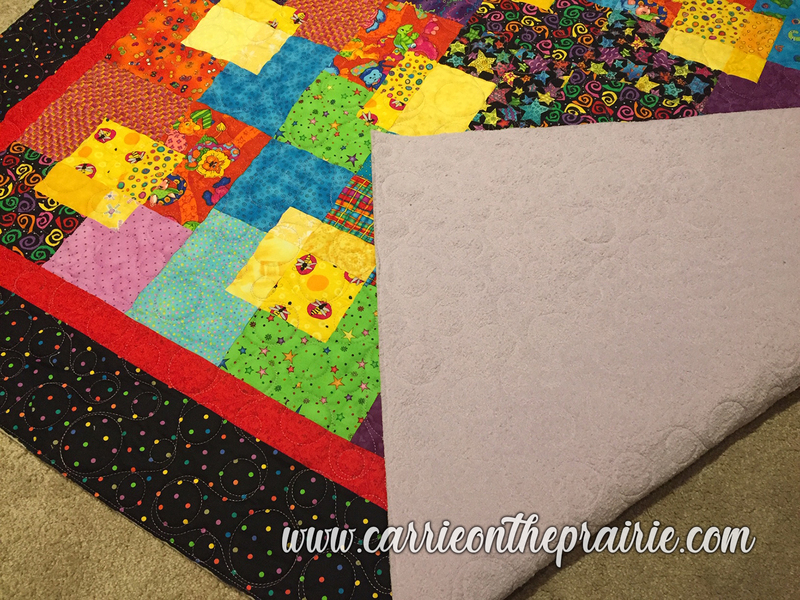 And with fuzzy fireside backing, it will be a so cuddly quilt for the child it's for.